You are Here: » Blog » Celebrating 30 years! And looking forward to the next thirty! For St Mary’s 2019 is an exciting landmark year as we celebrate our 30th anniversary! We are grateful to all our supporters who have, over 30 years, constantly helped us to raise funds ensuring St Mary’s Hospice and our cherished services continue to be here for our community. We work hard to make moments that matter for patients and loved ones living with life-shortening illnesses. This is at the heart of everything we do and behind this is your support. In 2019 throughout the year we will be celebrating our past and looking to the future, focusing our Living Well activity and enabling many more people across our catchment area to access the wide range of services we have. So from Fundraising events to volunteering opportunities, a specially commissioned series of anniversary videos, we will be sharing the latest updates to ﬁnd out what’s coming up and the many ways to get involved. We’re on the lookout for your help to share an insight into how St Mary’s has made a diﬀerence. It’s the heart-warming stories of families, staﬀ, volunteers, fundraisers, Trustees from over the years that we want to share. 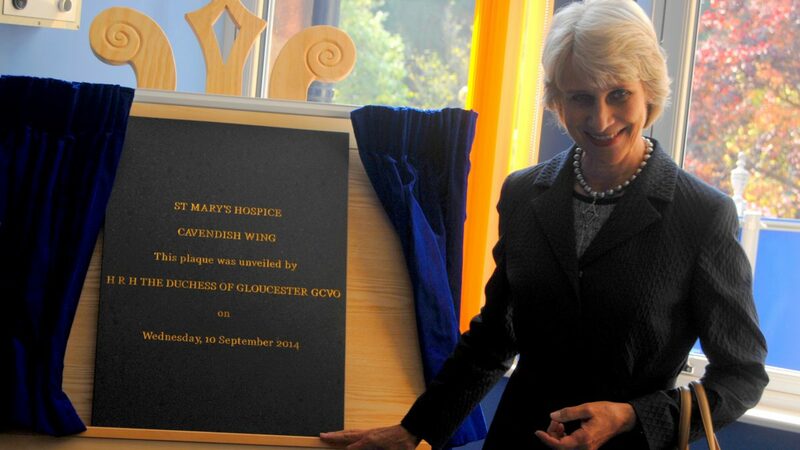 Our unsung hospice heroes and milestone moments – 1989 the ﬁrst patient admitted in June, 1990 Princess Diana’s visit, 2008 Hospice at Home service set up, 2014 the opening of the Cavendish Wing – that we want to remember and celebrate. If you have any photos or a story about St Mary’s that you would like to share, please get in touch via yourstory@stmaryshospice.org.uk. This will enable us to share St Mary’s special role at the heart of our community.